There's Room For More: Kenneth Witcher, Sr. 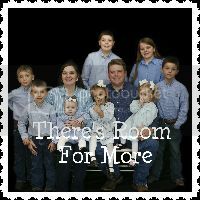 The last few weeks have been very difficult week for our family. 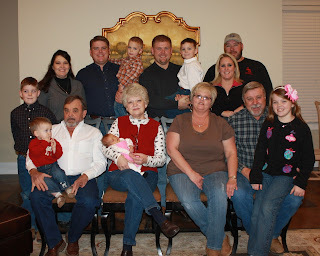 Kent's dad, Kenneth, passed away. He was diagnosed with lung cancer in late March and was never strong enough to undergo any type of treatment. We knew that he was not doing well but we never expected him to be gone so soon. 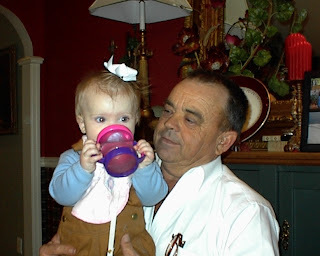 Kenneth was a wonderful father-in-law but he was an awesome Papaw. 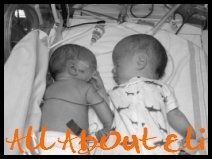 From the moment we told him of a positive pregnancy test, he excitedly awaited the arrival of his first grandchild. 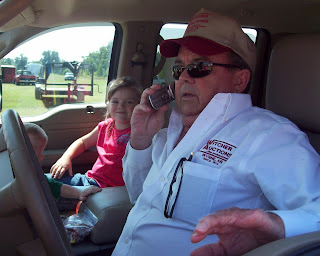 A coveted "job" was to ride around with Papaw during an auction. 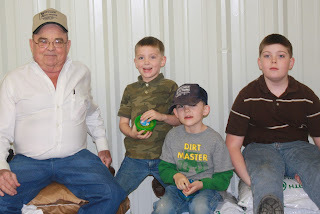 The kids were excited when Daddy and Unc got their auctioneer's licenses because that meant Papaw didn't have the spend the whole day selling! Papaw and Nana always let the kids be involved in projects they were doing. Madisyn was about 2 when Nana made her a nail apron and the three of them converted a new sound truck. In the past year the kids helped build shelves and organize the shop, spread mulch, build a fence and numerous other smaller projects. 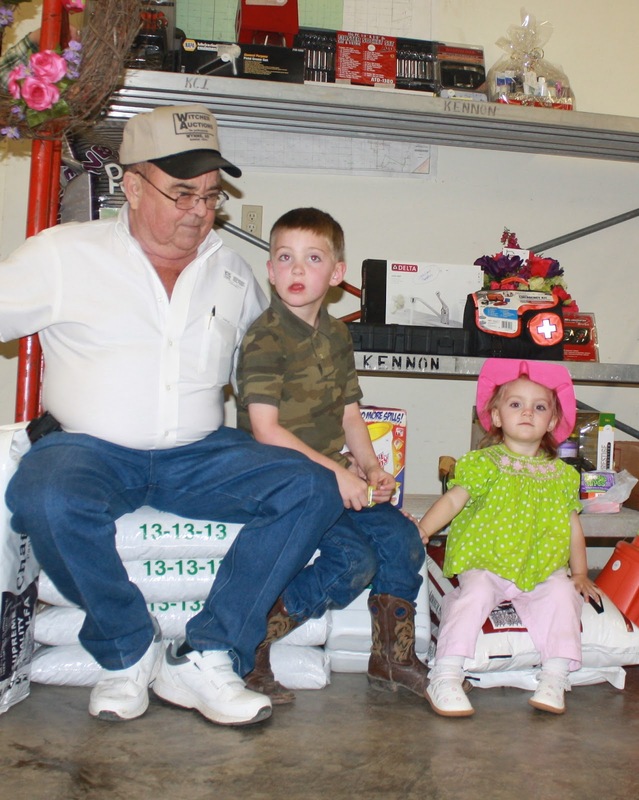 Papaw instilled a love of horses in all of his grandchildren but particularly Madisyn. Her favorite activity was to go to Papaw's house and do anything with a horse. At charity auctions, Kenneth could barely sell an item without a helper. It's a wonder he made it through the first 50+ years of his life without the help of one of the kids! 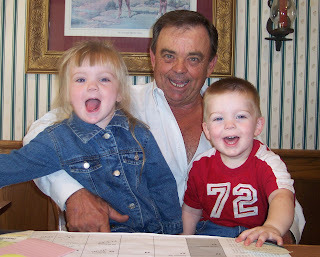 When Papaw was around his "little ducks" weren't far behind. At his funeral, Uncle Jackie likened Kenneth to the Good Samaritan. I honestly had never really put it together but that is a perfect description of Kenneth. He was always helping someone and doing for others. He never turned down the opportunity to conduct a charity auction or feed someone a meal. Kenneth Witcher, a lifelong resident of Wynne, Arkansas, went to be with his heavenly Father, Sunday, July 14, 2013, at the age of sixty-four. He was born on September 17, 1948, to Charles “Sonny” and Lillian Baty Witcher. He married Miss Vicki Lawrence on July 18, 1970. He was a 1966 Graduate of Wynne High School, Broadway College of Real Estate, and Reisch Auction College. 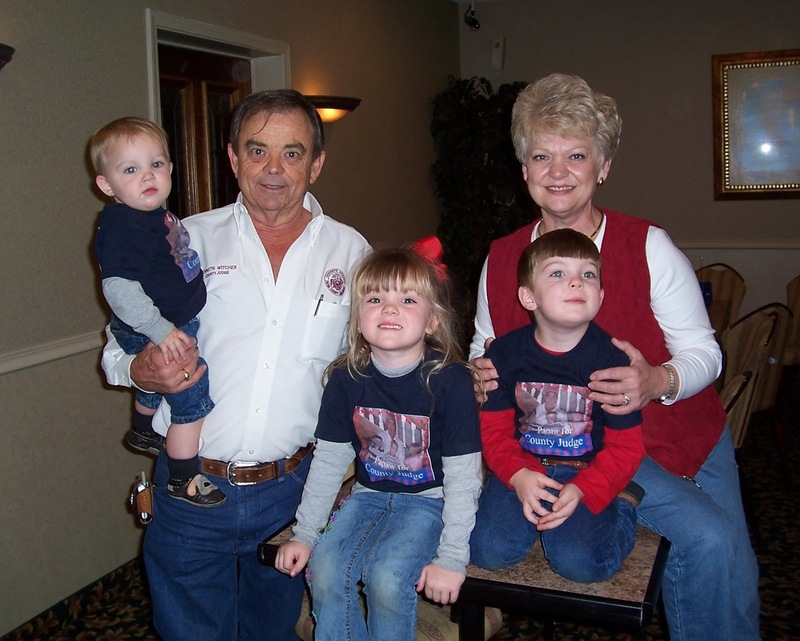 In 1972, he started Witcher Auctions, a professional full-time auction service, which is now carried on by his sons. 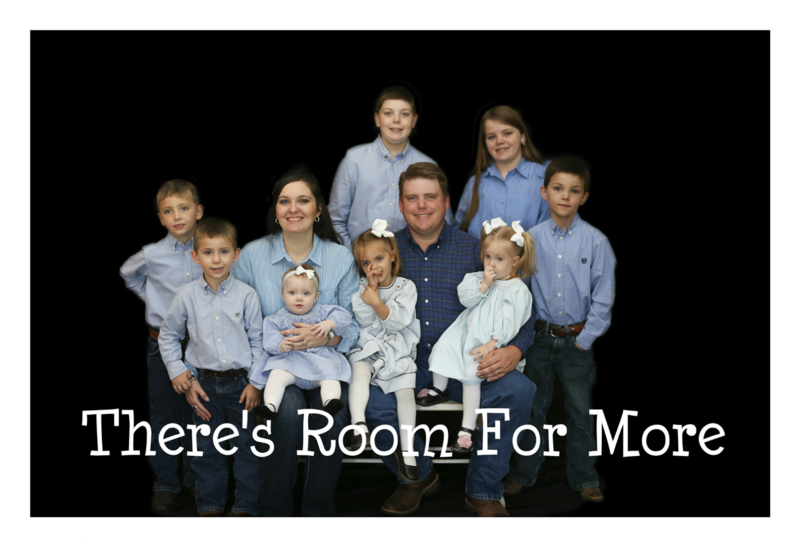 He was one of the first licensed auctioneers in Arkansas, receiving License No. 46 in 1993, and was also a licensed Real Estate agent. He served on the Wynne School Board from 1992-2002, and served three terms as Cross County Judge, from 2005-2010. Kenneth conducted hundreds of charity auctions including the Wynne Lions Club auction (nearly forty years); Fair Oaks Fire Department, Cross County Arts Council, St. Jude Children’s Hospital, and numerous other school, civic club and hardship benefits. He never turned down an opportunity to help someone in need, or to benefit his community. He was a “giver” in the truest sense of the word. He devoted his life to his God, his family and his country. 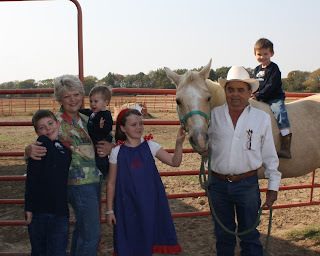 Since his retirement, his greatest joy was spending time with his grandchildren, tending his horses, bush-hogging on his tractor, and piddling in his barn (oh, and watching cattle auctions on RFDTV while he rested). Mr. Witcher was preceded in death by his father, and one sister: Barbara Tucker. Kenneth is survived by his wife of forty-three years: Vicki Witcher of the home, Mother: Lillian Witcher of Wynne, Arkansas, two sons: Kenneth “Kent” Witcher, Jr. and his wife Stacy of Wynne, Arkansas, Kirk Witcher, of Wynne, Arkansas, one brother: Phillip Witcher and wife Vicki, of Wynne, Arkansas, one sister: Betty Atkins and husband Glen of Jacksonville, Arkansas, 8 grandchildren: Madisyn, Tyler, Griffin, Ben, Henry, Mary Claire and Liberty Kate, and one more on the way.